Transformation, the focal theme of selected works from Collection II exhibited at the Arsenal Gallery, is understood therein in a twofold manner: on the one hand, as the systemic reforms that occurred after the fall of communism in Europe and its Asian borderlands, and on the other, as the “transition culture” as defined by the American sociologist Michael D. Kennedy, that is as the enforced and premeditated great narrative of the 1990s. A collection is a closed set; hence the works selected for the exhibition certainly do not exhaust the topic of the transformations associated with the 1989 breakthrough in all its complexity. Yet the exhibited works obviously point to some issues which thirty years later, and viewed from today’s perspective, still seem not to have been properly worked through. The main objective of the exhibition is to present the most important phenomena that emerged in Polish art after the year 1989. However, the presence of artists originating from Central-Eastern Europe and the countries of the South Caucasus which regained their independence after the fall of the Soviet Union (Armenia and Azerbaijan), is an extremely important element of the project. On the one hand, it arises from the curatorial conception of Collection II; on the other, it points to new, complex artistic geographies in the world of art, which emerged after the fall of communism, the disintegration of the world’s binary divide, and the illusory “end of history”. 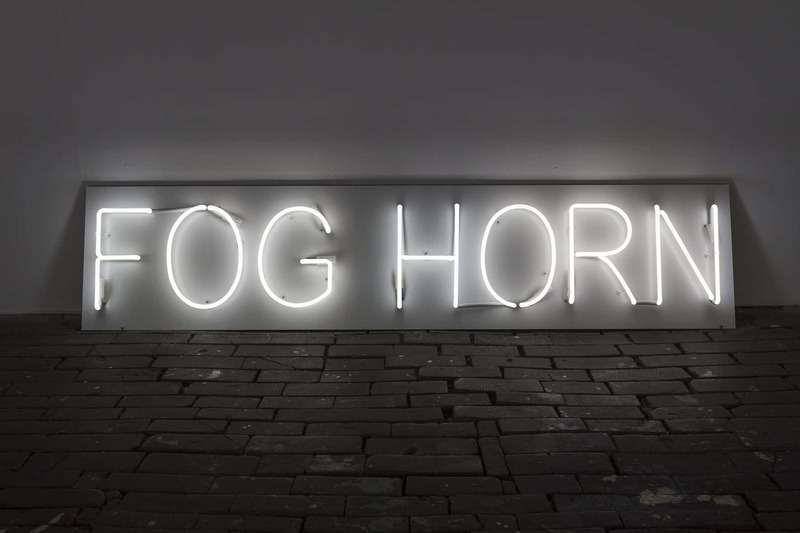 The title FOGHORN, which originates from an exhibited work by Mirosław Bałka and Katarzyna Krakowiak, suggests that it is indeed worthwhile to listen attentively to art, as it regularly sends early-warning signals, calling attention to problems and providing preliminary compass readings in the frequently obscure and confusing socio-cultural realities.